Tasha was a great dog and friend to our family. 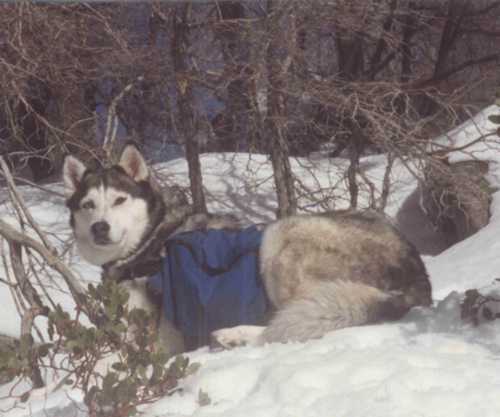 Whether it was howling with her as part of the pack or taking her for a hike she was a great companion. 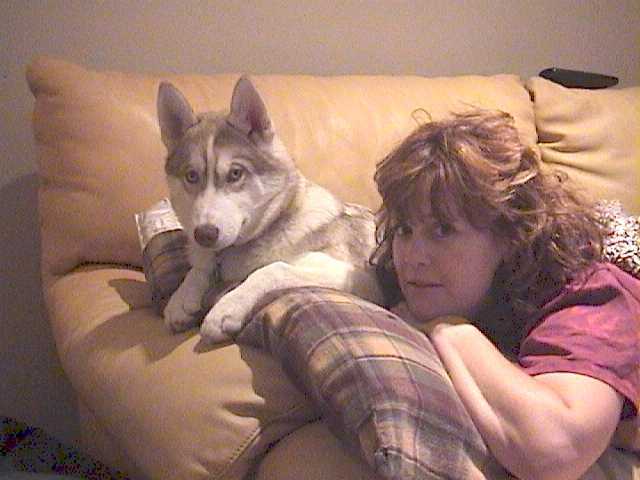 Tasha is not with us any longer but we continue to have fond memories. Anouk (means 'grace' in Inuit language) is our new puppy. 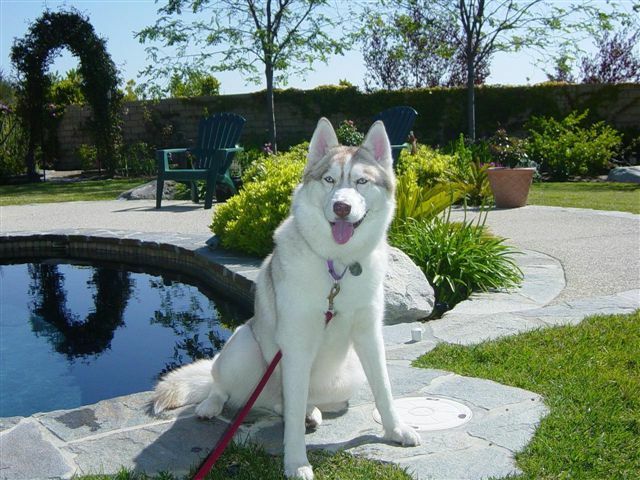 She has two blue eyes and is a red and white Siberian Husky. Indigo is our newest Pup. Just like Anouk We got him at Aniak Siberians. Pat and Richard Tiedy do a great job at preparing the pup for coming in to our home. They truly are loving breeders that care about the well being of their dogs.